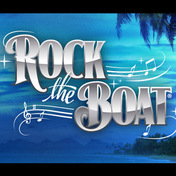 Due to overwhelming popularity, Rock The Boat returns for its fifth consecutive year, boasting a star studded line-up like no other ever assembled on water. Jimmy and the very best Australian Legends of Rock are coming together on-board Royal Caribbean’s Radiance of the Seas for 7 glorious nights of pure Rock & Roll. Join us onboard for the most iconic music festival at sea and let’s Rock The Boat! For more detailed information or if you have any questions you can call us direct on 1300 247 371 or send an email through our contact form. You can also subscribe to our newsletters to be kept up to date.